The attic is a common dream setting, and dreaming about an attic can mean several different things. Understanding this dream symbol can give you a lot of insight in how you feel about current situations in your life and what might be the best path of action to take! 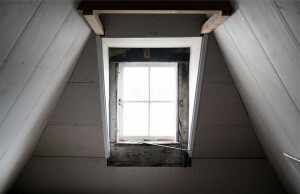 What Does it Mean to Dream About an Attic? A house in our dreams often represents ourselves or how we portray ourselves, and so the attic is an extension of this house. When you think of the attic as being "above" and "higher" it can give you great insight into what this dream symbol could possibly mean. Dreaming about an attic often provide clues about your connection with your "higher" self and your journey into spiritual advancement. In particular, dreams in which the dreamer goes up to the attic can signify a yearning or desire for spiritual development. Do you climb up stairs or a ladder? Stairs or steps in a dream may mean you are treading carefully, where a ladder may mean you are excited to start this new advancement into tapping into your spirituality. If you dream of falling down the stairs or ladder from an attic, it may mean you are experiencing unexpected setbacks in your spiritual development. Please note, when we talk about spirituality - we do NOT mean religion as you may know it. Each person is on a unique spiritual path, and so whatever your path may be, do not confuse it with conforming to a stereotypical view of religion you may have. Spirituality is simply your conscious development and connection with the energy of this universe. If you are not a spiritual or religious person, think about this as expanding your consciousness or becoming more aware of the energy present in the world. You may be wishing to connect with a source of creative energy. When we think about the kind of things that are put into an attic, we generally keep things that are old and not necessary in day to day activities. This dream might expose may be a great number of helpful things you've got "hidden" away in your own skills and talents and memories that may be able to help you along with your challenges you are facing in life. Possibly this could mean you are in a scenario for which you may need certainly to use your past experiences to overcome a challenge you are facing. Attics can sometimes be a source of many forgotten and abandoned treasures. These "treasures" in a dream are often memories and old feelings we may have had at one point in our lives. Sometimes we ignore how we really feel, and this can bring on the dream symbol of an attic. Going into an attic for some means that these ignored memories or thoughts and feelings are being revealed. Only once you face these ignored feelings will you truly feel confident enough to be able to achieve your ambitions and goals. To see a attic that is disorderly your dream could possibly be a reflection of what you are feeling about your current thoughts and situation. You may feel overwhelmed with many of these forgotten emotions you do not know how to handle, or you are "storing away" a mess of ideas. It might symbolize that you have to let go of so that you can move on with a perspective that is new life. Possibly, you need to rid yourself of the past and release the past feelings that are holding you back. It can be helpful to look at all other symbols when you are learning how to analyze dreams. Looking at all the different meanings of other objects, people, and events in your dream can give you further clues on what this dream might be about. You may want to explore some additional dream symbols that are closely related.For example, when you dream about an attic, you may also want to look into what it means to dream about a house. These two items are closely related in the meaning of our dreams! You may also want to think about what architecture design can mean in dreams - especially if you are drawn to noticing design details of the room or are in a building or house where the focus is on the eaves of the roof. As always, you are the best interpreter of your dreams! If you'd like to share any dreams you've had about attics, please do share them in the comments below!